Need to walk to Shung Ye Musuem first and walk back to National Palace Museum which will consume about 10 min walk from one place to another. It easy to redeem. You can take pictures in both of the musuem as long without flash on. 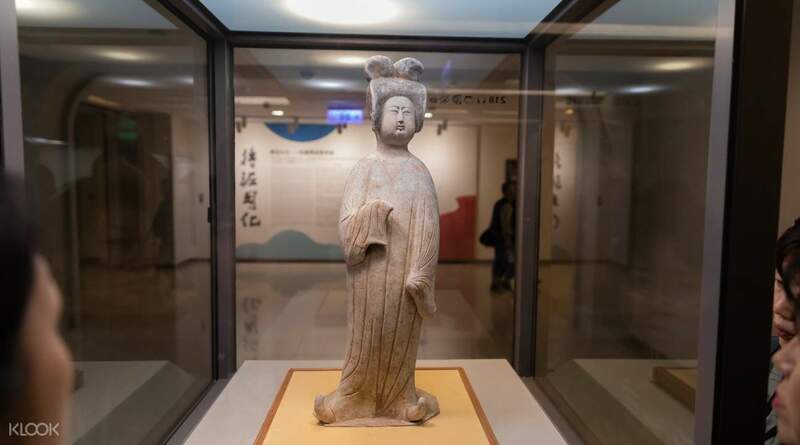 The National Palace Museum boasts one of the largest collections of Chinese art in the world, encompassing calligraphy, ceramics and paintings. There are typically multiple exhibitions held simultaneously alongside the vast collection on rotation so there's always something new to explore. 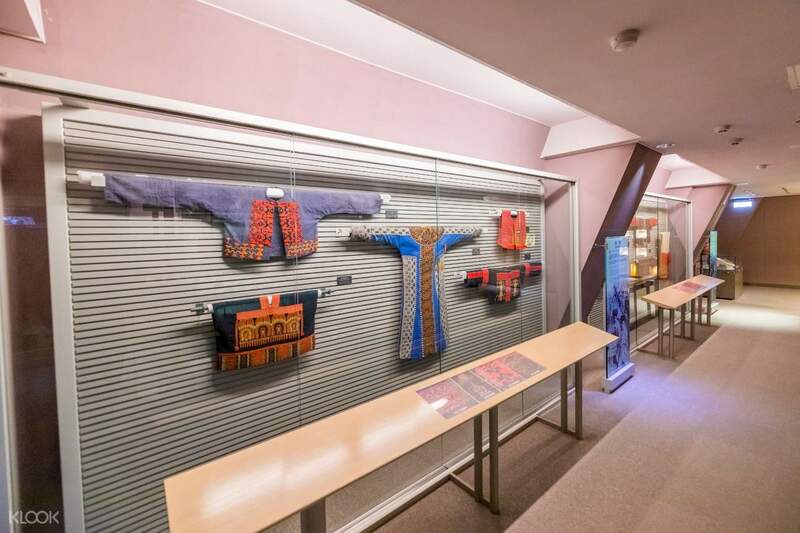 A short walk will take you to the Shung Ye Museum of Formosan Aborigines - its collection highlights the life of fourteen recognised indigenous tribes in Taiwan. With a wide coverage of the festivals, agriculture, belief systems and art of these tribes, cultural and historical buffs are sure to find something of interest. 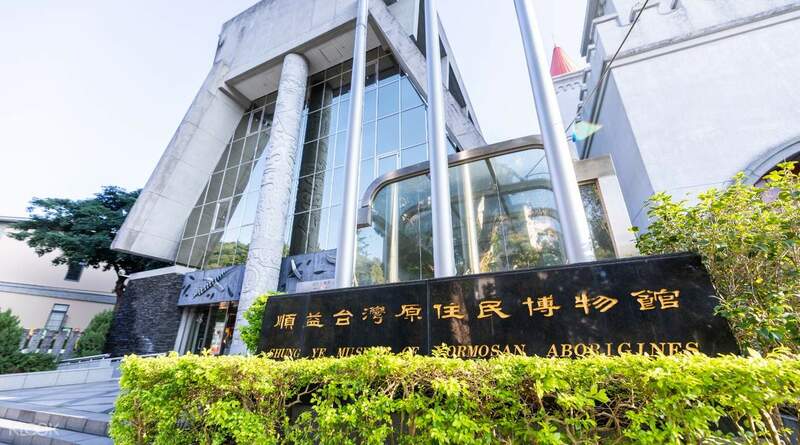 You can present either a printed or a mobile voucher at **Shung Ye Museum of Formosan Aborigines **to redeem both physical tickets. It was a great and fun experience. The national palace and shung ye museum is a great proof that taiwan is rich in culture, the fastest and the most convenient way to experience different eras of the county and its people is to visit attractions like this. It was a great and fun experience. The national palace and shung ye museum is a great proof that taiwan is rich in culture, the fastest and the most convenient way to experience different eras of the county and its people is to visit attractions like this. Need to walk to Shung Ye Musuem first and walk back to National Palace Museum which will consume about 10 min walk from one place to another. It easy to redeem. You can take pictures in both of the musuem as long without flash on. Need to walk to Shung Ye Musuem first and walk back to National Palace Museum which will consume about 10 min walk from one place to another. It easy to redeem. You can take pictures in both of the musuem as long without flash on. Amazing collections of Chinese literatures, ceramics, paintings and many objects are inside this grand Palace. You should prepare half a day to tour around. The combo tickets are with the small tribal museum but it worths a visit.The 3D animation shows every hour. It is better to start here for an hour before the Palace Museum. Amazing collections of Chinese literatures, ceramics, paintings and many objects are inside this grand Palace. You should prepare half a day to tour around. The combo tickets are with the small tribal museum but it worths a visit.The 3D animation shows every hour. It is better to start here for an hour before the Palace Museum. We took the MRT to Shilin station, then bus (see photo for bus number) to the museums. Both museums are a short walk away on the same street. Collected our tickets for both museums at the Shung Ye museum. No q, fast and easy. Admission is free for those below 17 years old at the National Palace museum. While for Shung Ye musuem, tickets is NTD100. We took the MRT to Shilin station, then bus (see photo for bus number) to the museums. Both museums are a short walk away on the same street. Collected our tickets for both museums at the Shung Ye museum. No q, fast and easy. Admission is free for those below 17 years old at the National Palace museum. 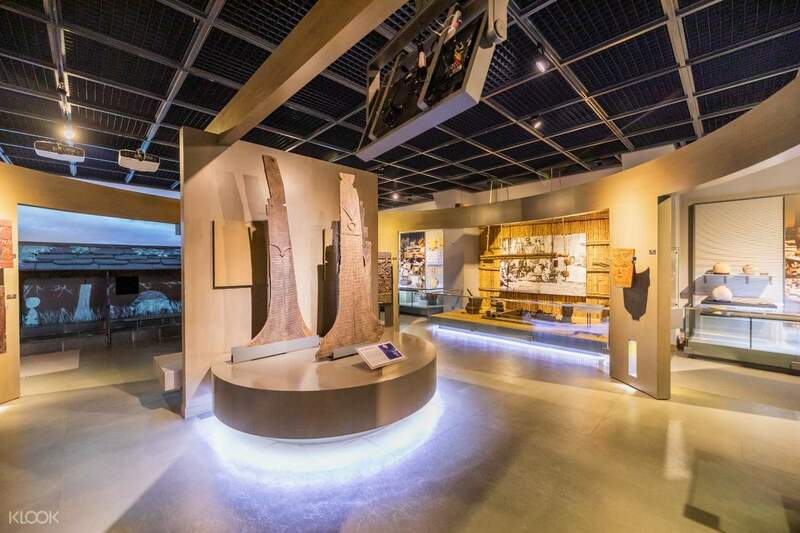 While for Shung Ye musuem, tickets is NTD100. Apparently, anyone could do without the nearby Shung Ye Museum, especially discovering it’s quite difficult to spot and the locals know little of it, even if it’s just in the vicinity. But it’s a cute addition: harmless, nothing much of significance. You’re lucky if you’re able to make it out of its interactive theater in the basement without shutting your eye. The National Museum is another story, though. Grand and covering a lot of territory, a couple of hours isn’t enough to completely immerse yourself in the information, history and culture the place shares. Apparently, anyone could do without the nearby Shung Ye Museum, especially discovering it’s quite difficult to spot and the locals know little of it, even if it’s just in the vicinity. But it’s a cute addition: harmless, nothing much of significance. You’re lucky if you’re able to make it out of its interactive theater in the basement without shutting your eye. The National Museum is another story, though. Grand and covering a lot of territory, a couple of hours isn’t enough to completely immerse yourself in the information, history and culture the place shares. Highly recommended tour. The bus is very comfortable and safe with free water. The tour guide Irene Hsu is the best. She and the driver were very nice, accommodating and entertaining lost tourists. The tour was very on time. Great experience all in all. Highly recommended tour. The bus is very comfortable and safe with free water. The tour guide Irene Hsu is the best. She and the driver were very nice, accommodating and entertaining lost tourists. The tour was very on time. Great experience all in all. This museum was one of the best ones that I have ever visited. We spent so much time exploring this marvel of a building, for hours and hours. The English tour guide was so experienced, patient and knowledgeable about all the artifacts. I would recommend this to any of my friends or travelers who plan to visit Taiwan because this is a must see. This museum was one of the best ones that I have ever visited. We spent so much time exploring this marvel of a building, for hours and hours. The English tour guide was so experienced, patient and knowledgeable about all the artifacts. I would recommend this to any of my friends or travelers who plan to visit Taiwan because this is a must see. Visiting National Palace Museum and Shung Ye Museum should be on your bucket list when in Taipei. You will be fascinated by the rich history and culture of Taiwan. 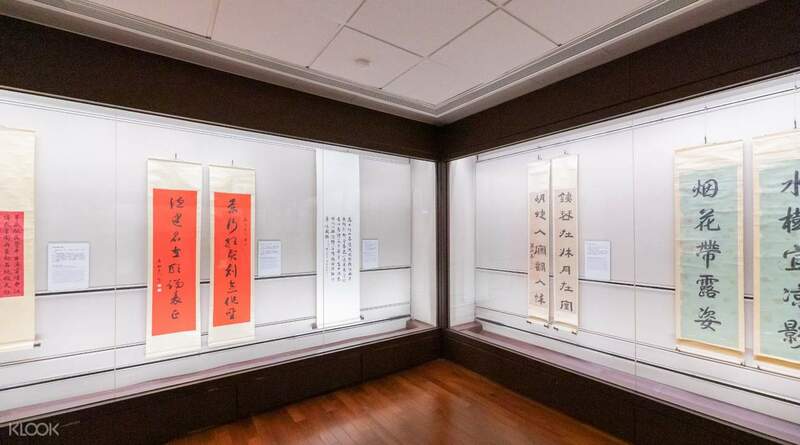 Be amuse by the hundreds, if not thousands, of chinese artifacts from different dynasties and regions. Klook's offer of a 2-in-1 combo entrance fee is way cheaper than when you get the admission tickets on site. It is also convenient to exchange your e-voucher to an actual ticket. Visiting National Palace Museum and Shung Ye Museum should be on your bucket list when in Taipei. You will be fascinated by the rich history and culture of Taiwan. 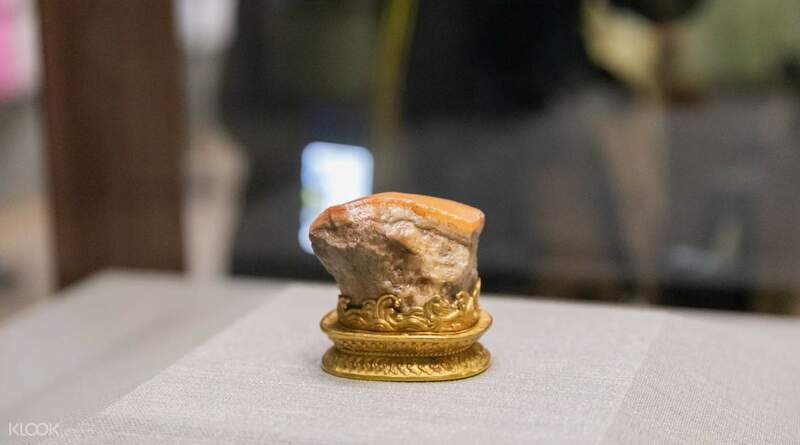 Be amuse by the hundreds, if not thousands, of chinese artifacts from different dynasties and regions. Klook's offer of a 2-in-1 combo entrance fee is way cheaper than when you get the admission tickets on site. It is also convenient to exchange your e-voucher to an actual ticket. Shung Ye museum gave me a good understanding of Taiwan’s history, especially when it came to the natives. Interesting exhibitions (though it’s a bit of a walk from National Palace Museum). Not much needs to be said about National Palace Museum - great exhibits with plenty of historical references. Must visit if you have an interest in Chinese history. Can get a little crowded at times - tour groups can crowd out an entire exhibit making the experience slightly unpleasant. Shung Ye museum gave me a good understanding of Taiwan’s history, especially when it came to the natives. Interesting exhibitions (though it’s a bit of a walk from National Palace Museum). Not much needs to be said about National Palace Museum - great exhibits with plenty of historical references. Must visit if you have an interest in Chinese history. Can get a little crowded at times - tour groups can crowd out an entire exhibit making the experience slightly unpleasant. Purchasing ticket in advance saves you time and effort. Plus you get discounts and freebies. My ticket is bundled with a visit to Shun Ye Museum where you'll get to know the origin of Formosa and their original inhabitants. The museums are very close to each other. It's within walking distance. Visiting the Nat'l Palace is a Taipei Must. For a non-artist like me, I can only limitedly explain that each floor offers different awesome artifacts and precious stones in intricate designs. The whole place is very organize. They offer lockers for your belongings and NOT ALLOWED items, leaflets as your guide if you opt not to join a guided group and translator headsets. There is also a cafe/resto to feed your growling tummy. Purchasing ticket in advance saves you time and effort. Plus you get discounts and freebies. My ticket is bundled with a visit to Shun Ye Museum where you'll get to know the origin of Formosa and their original inhabitants. The museums are very close to each other. It's within walking distance. Visiting the Nat'l Palace is a Taipei Must. For a non-artist like me, I can only limitedly explain that each floor offers different awesome artifacts and precious stones in intricate designs. The whole place is very organize. They offer lockers for your belongings and NOT ALLOWED items, leaflets as your guide if you opt not to join a guided group and translator headsets. There is also a cafe/resto to feed your growling tummy.